The old time song from yesteryear still rings true today! At Skylake, campers pick their own activities and set their own schedules each week which gives children the flexibility to do as they choose while also providing them with great diversity to learn new skills. The pace of a day is as active or slow paced as a camper desirers which makes Skylake a unique setting in which all campers can thrive. First Activity period starts at 9am, followed by 2nd and 3rd Activities at 10 and 11am. Following Lunch and Siesta, depending on the day, campers either enjoy a chosen activity with their cabin mates or open swim time at the docks. For more detail on the structure of a day, see a sample schedule. Skylake's large private dock is located on a quiet cove on Bass Lake. It's a short walk down our "swim trail" from the main part of camp. Here, campers swim in a warm-water lake with an enclosed dock area which is great for our younger swimmers. Waterfront activities are among the favorites at camp! Camp ski boats take campers out on the lake for waterskiing, wakeboarding, tubing and our ever popular "Banana Boat" ride. Camper can also choose a slightly more relaxed water sport and have great fun teaming up in our canoes, kayaks, and paddleboards or taking swim lessons. Free swim and dock relaxation are available every day for all campers. Waterfront Activities are among the favorites at Skylake! A short walk down the Swim Trail, campers access Skylake’s large private docks located on a quiet cove on Bass Lake. Campers swim in a warm-water lake with an enclosed dock area which is great for our younger swimmers. Free swim and dock relaxation are a daily occurrence for every camper looking to soak up some warm California sun! Waterfront Activities range from a relaxed Stand Up Paddle Board cruise on Bass Lake to an exhilarating cruise around the lake aboard a Banana Boat. The waterfront is always buzzing with games such as water relays, greased watermelon, and water polo. Instruction is always available, as is free play, with Skylake’s extensive waterfront equipment. Skylake’s land includes a multi-purpose field for soccer and baseball, a horse arena with miles of forest service land trails to explore, crafts building with every art project imaginable, a ceramics room with wheels and kiln, archery range, challenge ropes course, multi-sided climbing tower, basketball, sand volleyball, tennis courts, and endless other activities…like guitar classes and drama. And, there are plenty of mountain bikes for out-of-camp rides on neighboring single track and fire roads. After dinner each evening, campers are able to take part in twilight sports activities before gathering at our amphitheater like Campfire Circle for nightly campfire…a storied Skylake tradition…with skits, camp songs and games. Throughout the day there are always scheduled flex times as well so campers can relax and enjoy the slow pace of summer camp life and a bit of free play. Plenty of mountain bikes for out-of-camp rides on neighboring single track and fire roads. Flex times are always scheduled throughout the day so campers can relax and enjoy the slow pace of summer camp life and a bit of free play. With Yosemite National Park in Skylake's "backyard" and the beautiful Ansel Adams Wilderness high-country close by, day trips and backpack trips are scheduled almost daily for those campers desirous of getting out of camp and experiencing the great outdoors. Day trips into Yosemite Valley and hikes up the mist trail to the top of Vernal Falls is a treasured outing that results in great stories and beautiful photos. Our two night backpack trips to such treats as Jackass Lakes and Madera Peak are a wonderful way for campers to really experience outdoor living and cooking. Friendship bonds really strengthen on such excursions and campers seem to come back to camp with a heightened sense and a deeper appreciation for the wilderness. Overnight camp outs to local treasures such as Whiskey Falls are also a treat for younger campers not quite ready for an extended back packing trip. Overnights are also available to older campers as well! 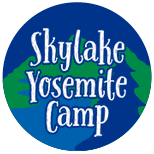 Throughout any given week at Skylake, camp breaks into an all inclusive activity whether it be a Special Day such as Wild West Day, a camp dance out under the stars, and of course our nightly campfire. Everyone in camp is somehow involved in the same agenda and it’s amazing to see such cohesion! So much goes into the meaning of the word “magic” when campers and alumni use the word to describe Skylake. Unique events such as early morning wake ups for the optional “width of the lake swim” or Sunday’s “Cabin Walk Suppers”, to the ever treasured Sunday morning Skytime when camp gathers and shares stories about the week. The list goes on and on…and so does the magic!